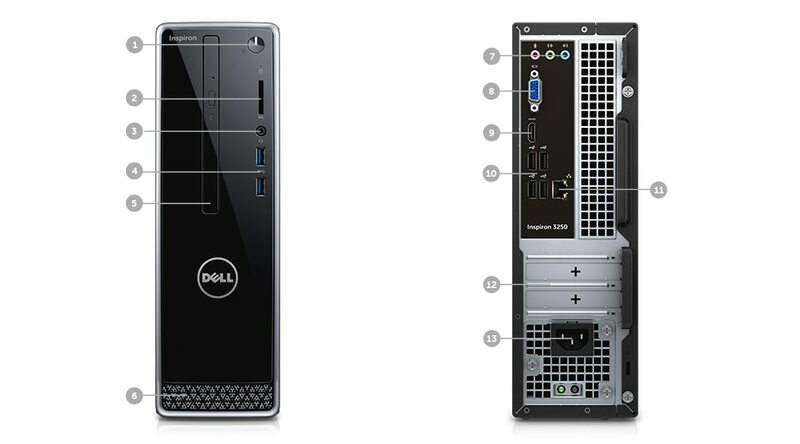 Featuring an updated, contemporary design, the new Inspiron Small Desktop has been reimagined to enhance the enjoyment that comes with owning a Dell desktop. 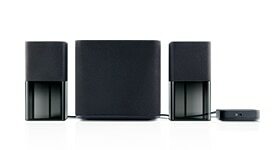 Space-saving design: The new compact form factor has been reengineered to provide maximum power and take up minimum space. Easy access: Optional optical drive, two super-speed USB 3.0 ports and 5-in-1 media card reader are all conveniently located up front for easy accessibility. With a high-capacity hard drive, the latest Intel® processors, and improved system cooling, the Inspiron Small Desktop offers the PC performance you deserve. Powerful processors: Built with the latest Intel® processors, you can expect fast, reliable performance and an exceptional PC experience. Superior storage: With a high-capacity hard drive of up to 2TB, you’ll have plenty of space to safely store or backup photos, games, movies and more. More memory: Get up to 4GB of UMA graphics memory with an optional performance graphics card from AMD Radeon. 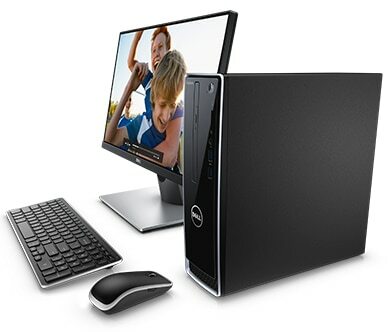 From basic computing needs, to the family’s digital library – ideal for storing photos, videos, important files, and more – to multimedia entertainment center, where you can stream movies, play DVDs and video games or listen to music, the new Inspiron Small Desktop offers powerful and reliable performance, perfect for the living room or home office. Built-in connectivity: Stay connected with the latest integrated WiFi and Bluetooth technology. 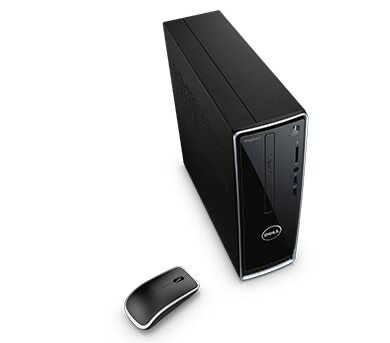 Essential accessories for your Inspiron Small Desktop. 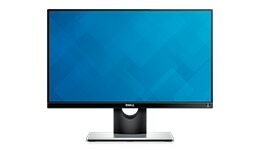 Complete your Inspiron Small Desktop purchase with a Dell monitor that offers ultra-wide viewing, a Dell wireless keyboard and mouse for a clutter-free desktop experience, and Dell Bluetooth Speakers to surround yourself with incredible sound. Look for these great products and more at checkout. Maximize your viewing experience with an ultrathin bezel, rich, accurate colors across an ultra-wide viewing angle, and integrated dual 3W speakers. 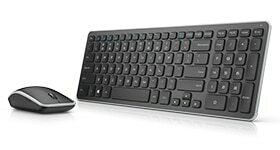 Keep your desk clutter-free with a modern wireless keyboard and mouse combo with scissor chiclet keys, and LED tracking. Enjoy supreme sound from your phone, tablet or other Bluetooth® device and hear every impressive detail through stylish wireless speakers.